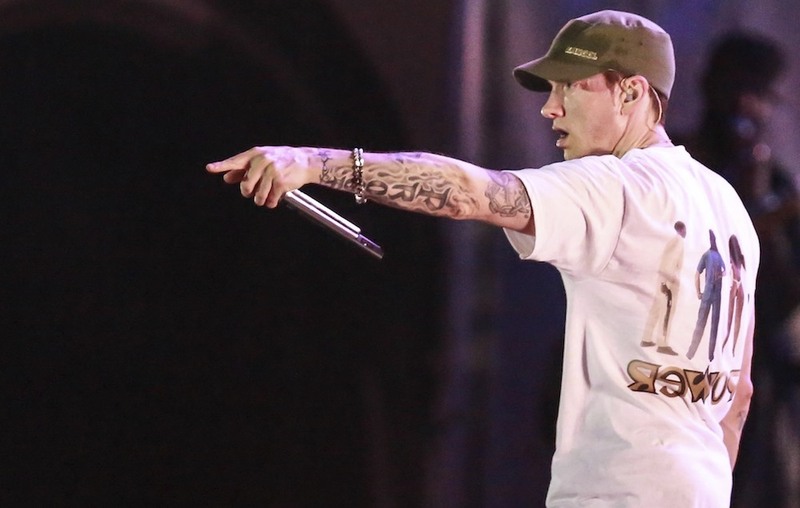 An ‘insider’ has spilled the beans on Slim Shady’s return. Eminem is set to launch his new album with a ‘massive’ performance at the MTV EMAs, according to one insider source. ‘Revival’, as the record is rumoured to be titled, will get a ‘massive’ airing at London’s Wembley Stadium as part of the annual MTV celebration, taking place this year on November 19. The Sun report that Marshall Mathers’ ninth studio LP will be ‘dropped’ at the event. “This is Eminem fully relaunching his career after a few years out and gathering his thoughts. It will be a massive performance,” says the tabloid’s source.